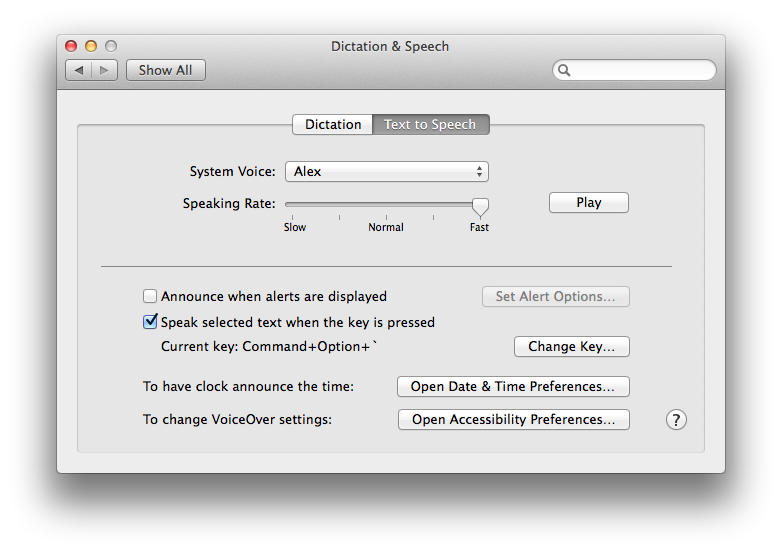 One of the reason why i love Mac OS is the text to speech feature, no surprise here as Apple was the first to have this feature in the early days of computing and its steve jobs baby. I love this because besides English it has a lot of different languages and its one that has really good Cantonese text to speech (You have to install it manually). The default voice is by Alex, you could change it but for English Alex seems to be the nearest human voice. Then highlight any selection of text and press the combination on your keyboard, then alex will speak to you. For Image, take a look this amazing project Project Naptha, their chrome plugin will make the text inside images able highlight.